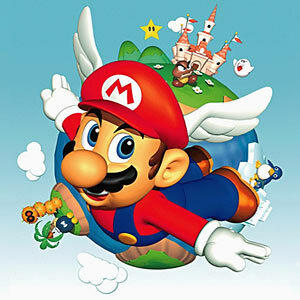 Super Mario 63 is an amazing fan-game inspired by Nintendo's Super Mario 64. Many levels and features are based upon it and other of Nintendo's games, but a variety of them are completely original. Among them include a detailed storyline, ability to play as Luigi, a highly customizable Level Designer with sharable codes, three different FLUDD Power-ups, four different power-caps, and 64 Shine Sprites & 64 Star Coins to collect. Arrow keys: Move around/ jump/ dive Z : Talk/Ground Pound X: Spin Attack C: Use Fludd Shift: Switch Fludds P: Pause Game - Zoom Out + Zoom In If you are having trouble with the Z key, try pressing ALT + SHIFT to switch to the American layout. GAME PATH: Gamers2Play.com - Super Mario - Play Super Mario 63 game!